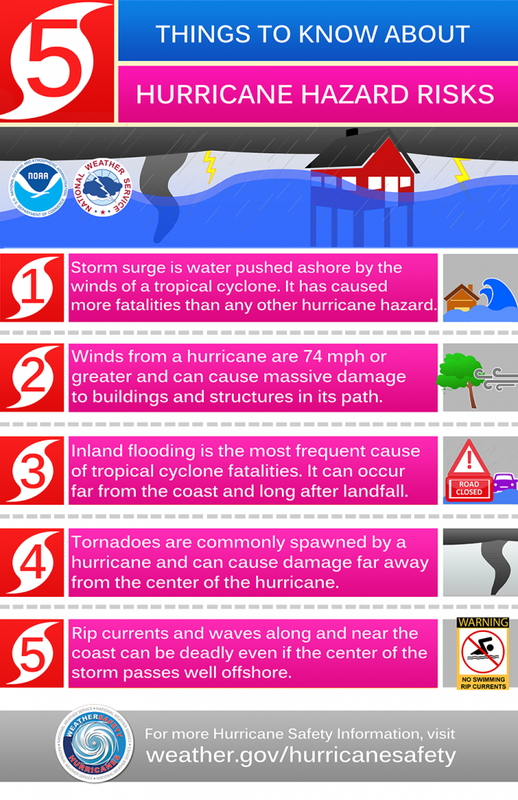 The National Hurricane Center talks about hurricanes and things to do reduce risk and safeguard life. 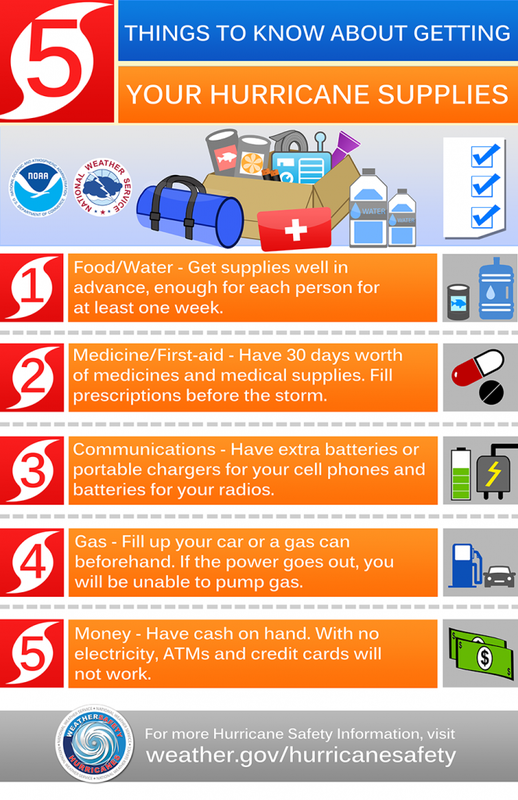 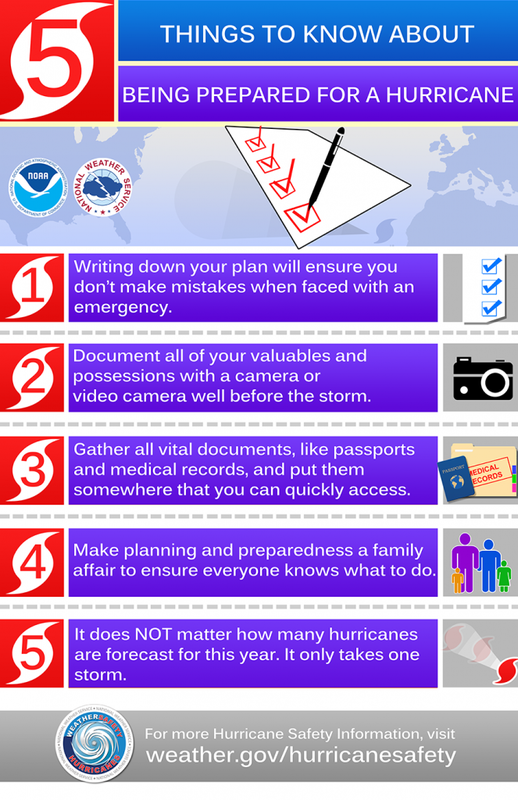 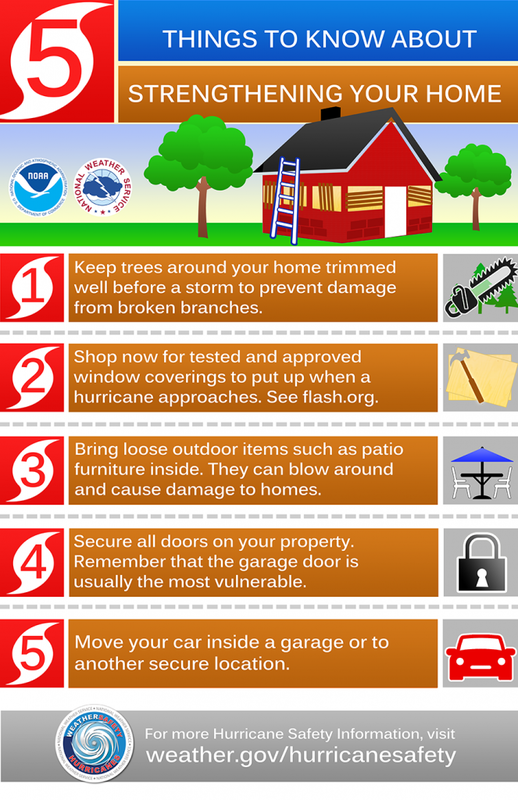 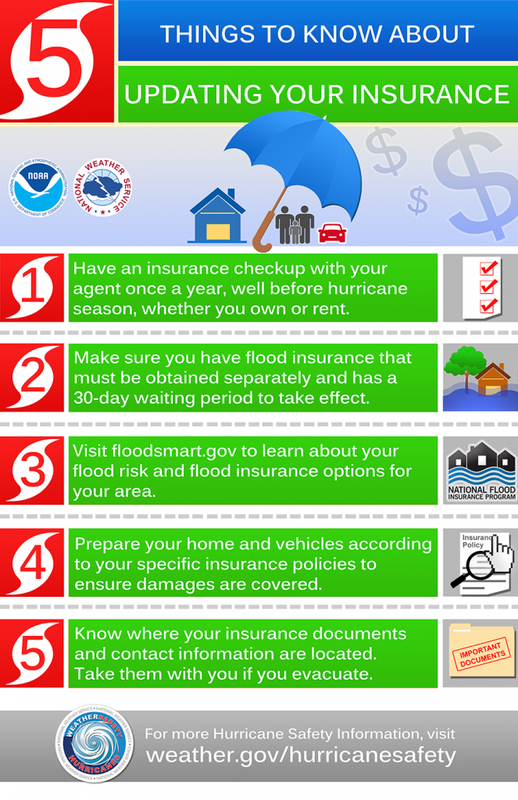 May 15-21 is Hurricane Preparedness Week. 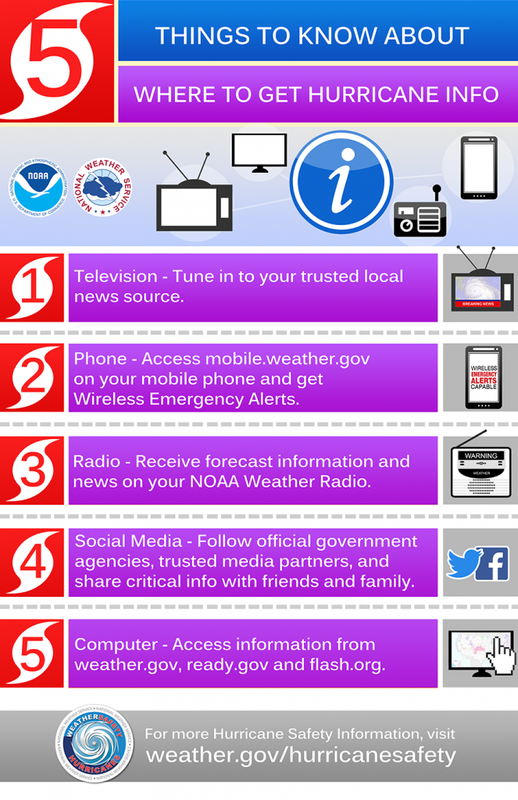 Click each graphic to learn more and read the associated blog post on Inside the Eye, the official blog of the National Hurricane Center. 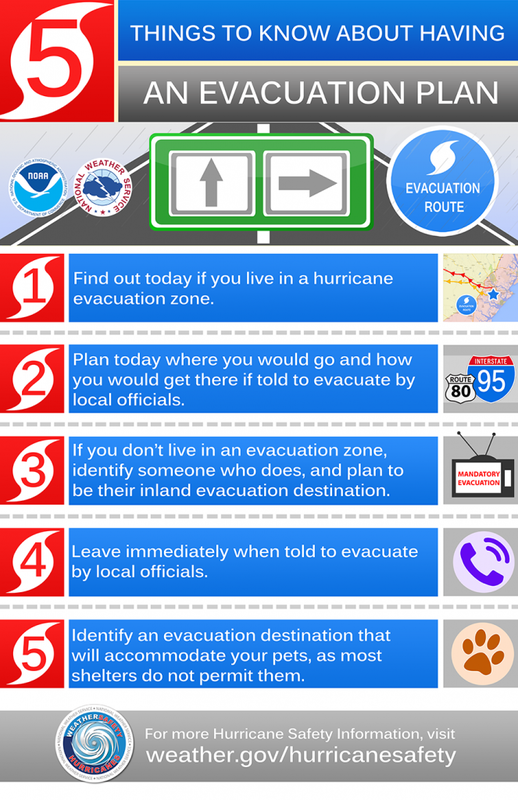 Day 2: Develop an Evacuation Plan.